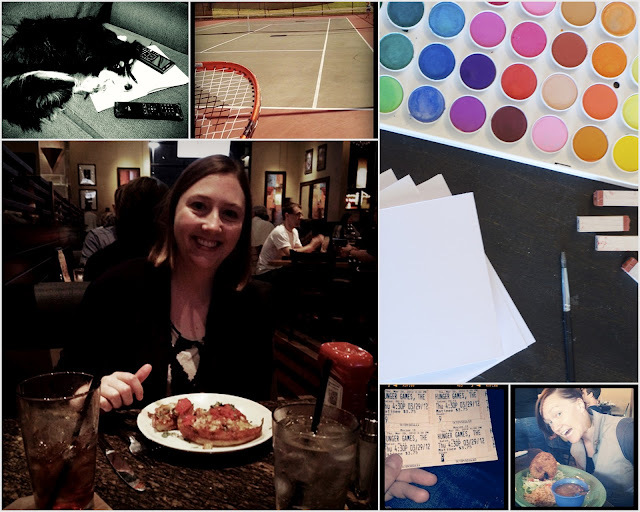 Played tennis in the lovely warm weather, painted with watercolors, watched Mac do his homework, celebrated my 27th birthday by eating BBQ pizza and seeing the Hunger Games, and ate fried avocados with my cousin visiting from Minnesota! It's been an awesome week! How was yours?